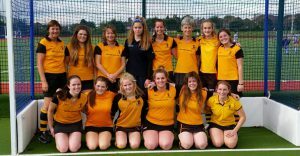 We have five ladies teams competing in the West Clubs Women’s Hockey League ranging from Premier Division 1 down to Channel Division 1. All our ladies teams train on a Tuesday night from 19:45 to 21:30 (meet in the clubhouse at 19:30). We have access to two pitches at our training ground at Chapel Gate so there is plenty of opportunity to mingle with other teams and focus on your own development. Club night, involving our 4th & 5th squads, train under the guidance of Simon Goldsack. If you’re interested in joining the club or would like to come and meet some of the players/see what it’s all about, then in the first instance please email Rose O’Reilly and she’ll direct you to the most appropriate contact. Which team/s have you played for? What standard of hockey have you played? If you’re looking to stay up to date with the latest results from the season then click here to view our results page. Nothing from 24 April 2019 to 01 May 2019. 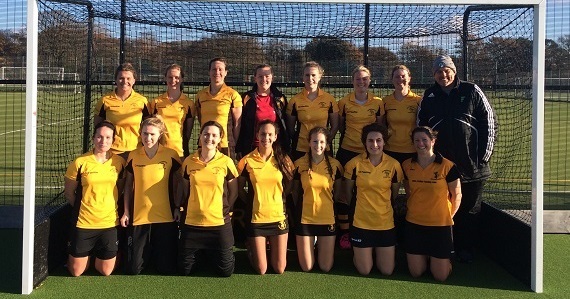 Bournemouth Ladies 1st XI for the 2018/19 season play in Premier Division 1. After a momentary appearance in Premier Division 2B last season, our Ladies 1s bounced back and won the league, 8 points clear at the top. They look forward to once again playing in Premier Division 1. Our ladies 2s will play in Premier Division 2B for the 2018/19 season. This team successfully got promoted from East Division in 2015/16 to play in Premier Division 2A where they have played during the last few seasons. This year they will be playing in Premier Division 2B where they look forward to a new challenge. 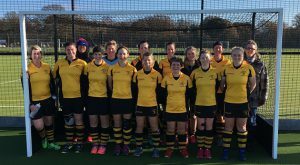 Bournemouth Ladies 3s for the 2018/19 season will be playing in East Division. After two phenomenal years of back to back promotions from Channel Division 1, and then East Division, our ladies 3rd XI has gone from strength to strength. They finished a respectable 3rd in East Division during the 2017/18 season. Our ladies 4s will continue to play in Channel Division 1 for the 2018/19 season. Our 4th team have had mixed fortunes in recent years as the team dynamic changes frequently. 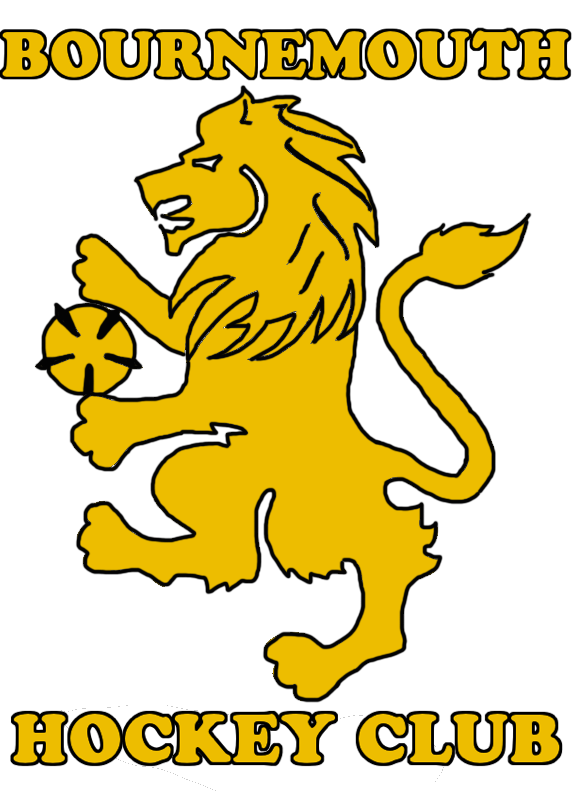 Very much one of our development teams for those looking to progress in a competitive hockey environment but also maintaining a fun and free-spirited experience. Our 4th XI is a fantastic team for bringing talented juniors into the ladies game, and for adult members to get a taste of challenging match play. Due to some reshuffling of the leagues, this season our ladies 5s will also play in Channel Division 1. Last but by no means least meet our ladies 5th XI, the bedrock of our club, and a team which boasts the oldest and youngers players in our adult squads. 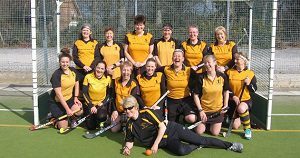 Whilst many of these ladies have played hockey for over 30 years, their enjoyment for the game, team spirit and friendship is as strong as ever. 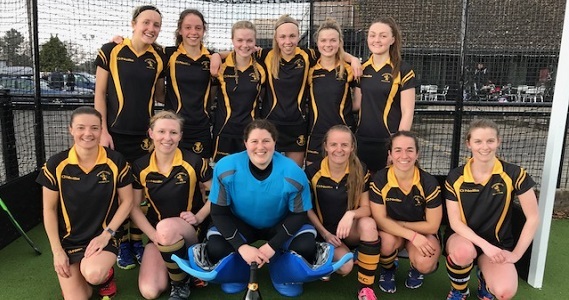 If you’re looking to pick up a hockey stick for the first time or want to continue playing even when your body is telling you otherwise, then look no further than our wonderful ladies 5th XI. With matches available every weekend and coaching mid-week, you’ll be sure to feel right at home with this friendly bunch.